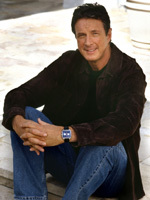 Michael Crichton, M.D., is a writer and filmmaker, best known as the author of Jurassic Park and the creator of ER. His most recent novel, Next, about genetics and law, was published in December 2006. Crichton's interest in computer modeling goes back forty years. His multiple-discriminant analysis of Egyptian crania, carried out on an IBM 7090 computer at Harvard, was published in the Papers of the Peabody Museum in 1966. His technical publications include a study of host factors in pituitary chromophobe adenoma in Metabolism, and an essay on medical obfuscation in the New England Journal of Medicine. Crichton's first bestseller, The Andromeda Strain, was published while he was still a medical student. He later worked full time on film and writing. 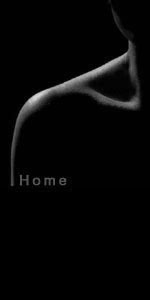 Now one of the most popular writers in the world, his books have been translated into thirty-six languages, and thirteen have been made into films. He's had a lifelong interest in computers. His feature film Westworld was the first to employ computer-generated special effects back in 1973. Crichton's pioneering use of computer programs for film production earned him a Technical Achievement Academy Award in 1995. Crichton has won an Emmy, a Peabody, and a Writer's Guild of America Award for ER. In 2002, a newly discovered ankylosaur was named for him: Crichtonsaurus bohlini. Michael Crichton, "Patenting Life," The New York Times, Feb. 13, 2007, at A2. Michael Crichton, "Body Snatchers, 2006," The Wall Street Journal, Dec. 15, 2006, at A20. Michael Crichton, "This Essay Breaks the Law," The New York Times March 19, 2006, at 4.